Please take notice that the City Council of the City of Newaygo, pursuant to and in accordance with Public Act 198 of the Public Acts of Michigan of 1974, as amended, will hold a public hearing on Monday, May 13, 2019 at 7:00 p.m., at the City of Newaygo Offices located at 28 State Road, Newaygo, MI 49337. The public hearing will be held by the City Council of the City of Newaygo to consider a request by G-M Wood Products, Inc. to seek approval of an application for tax abatements, within the Industrial Development District in the City of Newaygo Industrial Park. The City of Newaygo will provide necessary reasonable auxiliary aids and services to individuals with disabilities at the hearing upon five days advanced notice to the City Clerk at the address or phone number listed below. A copy of all related information of the request is available for review and/or purchase at the Newaygo City Office, 28 N State Rd., Newaygo, MI 49337 (231-652-1657) or www.newaygocity.org. Any party member may appear in person or by attorney at any hearing. It is respectfully requested that written comments and/or items to be a matter of record be submitted to the City in writing at the address above by 3:00 pm on the date of the hearing. This notice was authorized by the Newaygo City Council. NOTICE IS HEREBY GIVEN that the Newaygo City Council, Newaygo County, Michigan, has tentatively declared its intent to pay the costs and expenses of providing fire motor vehicles, apparatus, equipment, housing and fire protection for the period commencing July 01, 2019, through June 30, 2020 (the “Assessment Period”) by specially assessing taxable real property located within the City receiving fire protection services pursuant to a Fire Protection Agreement dated July 02, 1981, as amended by further agreements dated September 21, 1987, September 21, 1992, June 16, 1997, June 21, 1999, June 18, 2001, June 16, 2003, April 19, 2004, January 8, 2007,and October 18, 2011 between the City of Newaygo, Township of Brooks and the Township of Garfield (collectively the “Municipalities”). The latest amended agreement of January 5, 2017 removes Garfield Township from the agreement and only provides the joint provisions of fire protections services to the City of Newaygo and Brooks Township. The special assessment would be levied pursuant to Act 33 of the Public Acts of Michigan of 1951, as amended. The City of Newaygo has estimated the total amount to be assessed for the Assessment Period is $90,747 i.e. 1.99654 mills of the taxable value of all taxable real property included in the special assessment district. The City of Newaygo has designated a special assessment district to include all taxable real property within the City (the “District”). NOTICE IS FURTHER GIVEN that the City Assessor or his designee of the City of Newaygo has made and certified a special assessment roll (the “Roll”) which Roll sets forth the special assessment for each parcel of taxable real property included within the District. A copy of the Roll is on file with the City Clerk. TAKE NOTICE that the City of Newaygo will hold a public hearing on May 13, 2019 at 7:00 pm, local time, at the Newaygo City Hall, located at 28 N. State Rd., Newaygo, MI, to review and hear any objections to the Roll. Written comments or objections may be submitted to the same address by 3:00 pm on the day of the hearing. TAKE FURTHER NOTICE that a person must either appear and object at the public hearing or submit a letter of appearance and objection to the City prior to the public hearing in order to protect his/her right to appeal the special assessment to the Michigan Tax Tribunal within thirty (30) days after confirmation of the special assessment roll. The Michigan Department of Environmental Quality (MDEQ) has begun a statewide initiative to test drinking water from all schools that use well water and community water supplies. The test is looking for a group of man made chemicals called per-and polyfluoroalkyl substances (PFAS). MDEQ is taking this precautionary step of testing these drinking water sources to determine if public health actions are needed. Please click the link below for more information and test results. 1. A request by Randy’s House of Newaygo County, a residential recovery program, for special use approval to locate their treatment program dwelling units at structures located at 48 Justice St. and 68 Quarterline Rd. in the City of Newaygo. The program aims to help individuals seeking recovery to mental, physical, and spiritual wellness, especially those suffering from Substance Use Disorder. A copy of the Newaygo City Zoning Ordinance, including the Zoning Map is available for review and/or purchase at the Newaygo City Office, 28 N State Rd, Newaygo, MI, 49337 (231-652-1657) or www.newaygocity.org. Any party member may appear in person or by attorney at any hearing. It is respectfully requested that public comments and/or items to be a matter of record be submitted to the City in writing by the date of the hearing. The City of Newaygo will be making needed repairs to the sewer plant in the coming months and throughout 2017. Help us prepare now by reducing the amount of water that goes down the drain. This will reduce the amount of waste water that arrives at the sewer plant thereby simplifying the repair process. We also ask for your help in reducing the amount of phosphorus that makes it into the environment. Please reduce or eliminate use of household products that contain phosphorus (i.e. soap, automatic dishwasher products, laundry detergents, etc). Small changes by many people will make a big difference. Thank you for your help. 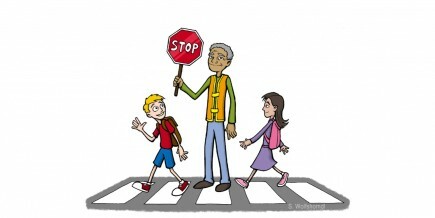 The City of Newaygo will be taking applications for Substitute School Crossing Guards. Applications and Resumes will be received until the positions are filled. Newaygo Police Department, 28 State Road, P.O. Box 308, Newaygo, MI 49337. For additional information, please call (231) 652-1655.